$165 per week for 2 rooms. One bedroom with a queen size bed and one study room with table and chair. You can use the study as your private living area or storage space. One build in wardrobe in each room. 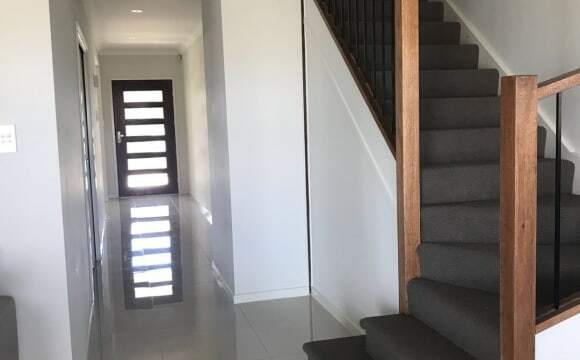 4 Bedroom home in Eight Mile Plains looking to share with house mates Quite and breezy area surrounded by greenery, close to bus's/trains and shops. Quick drive to the motorways! 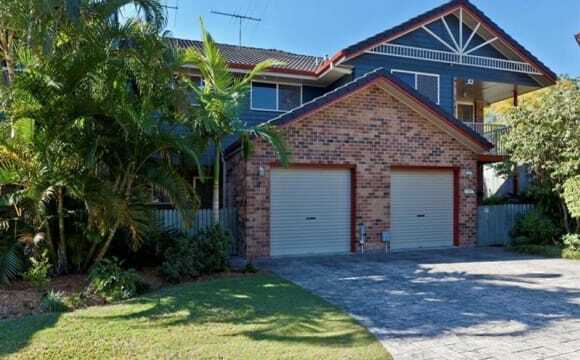 The House is furnished with d/garage, air-con, plenty of back yard room and back entertainment area with bbq! Electric stove and 2 bathrooms, shower and a bathtub. I am looking to share with working male/female and students. The rent is $150p/w inc electricity and internet. The rooms are not furnished so their ready to move in. Internet ready and reception friendly. 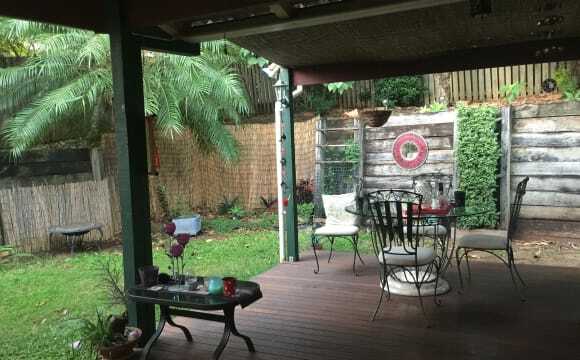 So If you're in need of a place around Eight Miles Plains/Underwood/Sunnybank area which is close to everything include Garden City then call me to book inspection time and ask for mark. Room 1: Your own single private unfurnished (can be furnished) bedroom features separate bathroom, air conditioner, build-in wardrobe, and car parking space Rent : $ 240/ week inc. some bills 2 weeks rent up front Bond: 4 weeks Rent Room 2: The master twin bedroom features a modern ensuite, air conditioner, private balcony, walk-in wardrobe, and car parking space Rent : $250/week for single, or $ 140 /week *2 for couple inc. some bills Bond: 4 weeks rent, 2 weeks rent up front Features : - Huge balcony with magnificent views, beautiful breezes and room for multiple living spaces - Top quality fixtures and fittings, including stone bench tops and stainless steel appliances - bedroom with air conditioning, ceiling fans and built in robes - Separate laundry which includes the clothes dryer - Dedicated car space with storage cage in secure carpark under the building - Huge rooftop terrace / sun deck and barbeque area -Secure building, needing a resident pass to access upper levels - Fitted roller blinds throughout - Downstairs undercover carpark Locations: - 5 minutes walking distance to bus station - 3 minutes to Westfield Garden City - 5 minutes to Griffith University -16 minutes to South Bank / QUT Gardens Point Stop - 20 minutes drive into Brisbane City. Large, roomy, clean and quiet six bedroom (with only our own room in use) house opposite bus stop, with four garages, swimming pool, garden and your own individual kitchen and study area as well as private bedroom and many common relaxing day areas to choose from (rumpus, lounge, living, courtyard, patio, garden). Complete with high-speed wifi internet (50Mbps) and 75" TV. 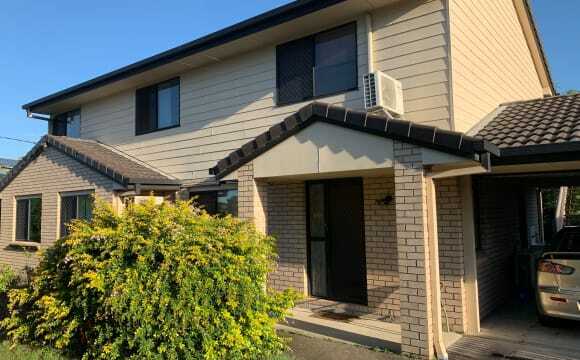 Super convenient location walking distance to Garden City and supermarkets with direct routes to the city (18min) and nearby Universities (GU, UQ, QUT). Bus stop directly across the street (20m). Griffith Uni is two stops directly from across the street, QUT is 5 stops, UQ is 12 stops. No smoking. Locked covered carpark and unfurnished option also available if desired. As landlords we are an Asian-Australian couple who travel often, cook often, open minded, easy to get along with and like to help others. He is a Doctoral Researcher at one of the major Universities in the area and she is a great cook and housekeeper. Please come and view for yourself. LARGE L-SHAPED STUDIO-LIKE SPACE downstairs that is furnished with Queen size bed, desk &amp; lamp, chair and portable clothing robes! You are welcome to use the other area as your living/entertainment and have EXCLUSIVE USE to separate bathroom-toilet downstairs. 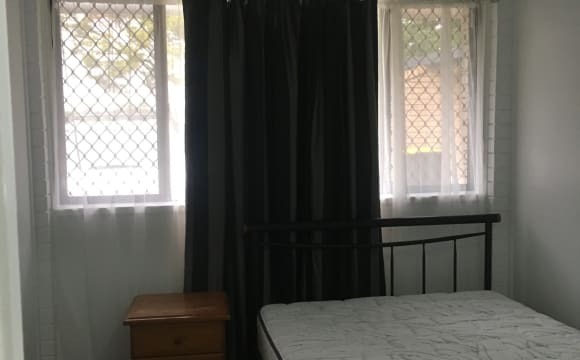 The double-storey house is less than 5mins walk to 150/155 bus stop and is in close proximity to Garden City and shopping centres near Sunnybank. 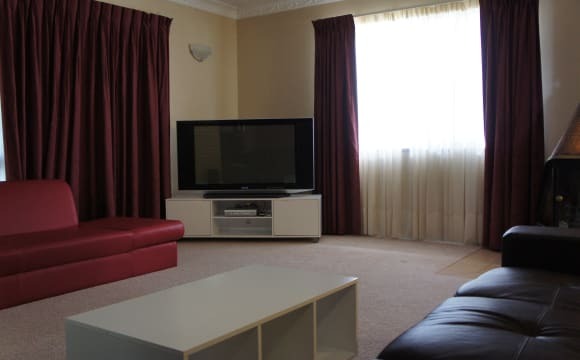 The house is part of a complex located 2 mins from Westfield Garden City by car and Eight Mile Plains busway is right around the corner. There are also onramps to the Gateway and Pacific motorways nearby. The complex is very quiet with plenty of parking spaces and is always well maintained. There are also numerous bus stops 200m from the front door. 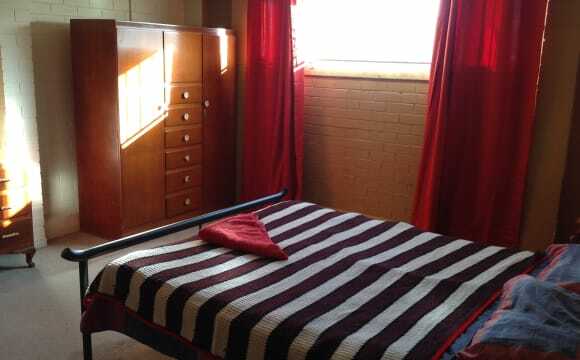 The room is furnished and the complex has a lovely pool with public transport to the city at your front door step. Walking distance to Garden City also. Recent renovated house located in very safe neighborhood. Surrounding is quiet and peaceful. Both the house and the room are fully furnished, build in wardrobe. Westfiled Garden City shopping mall is only 10 minutes walking distance away. It has everything you will need in daily life, such as supermarkets, banks, restaurants, library, post office, clinic, cinema，and so on. Five minutes’ walk to Newnham Road bus stop to catch bus 170 for 30 mins bus ride to go into Brisbane centre. You can also go to Garden City Main Bus Stop, where has many, many buses. For less than 20 minutes, you will be in the city centre. Buses also go to all major destinations of Brisbane and universities, such as Griffith, QUT and UQ. 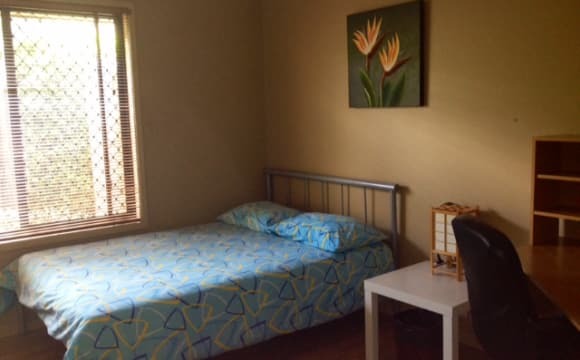 Single room from $160 per week. Including electricity, gas, water, unlimited NBN and gardening. Security garage $10 per week. Working holiday Backpacker and International students are welcomed! Prefer tenant doesn't own a car or willing to rent the garage. No couple and no pet will be considered. nice quiet new area that is close to the bus way and shops. 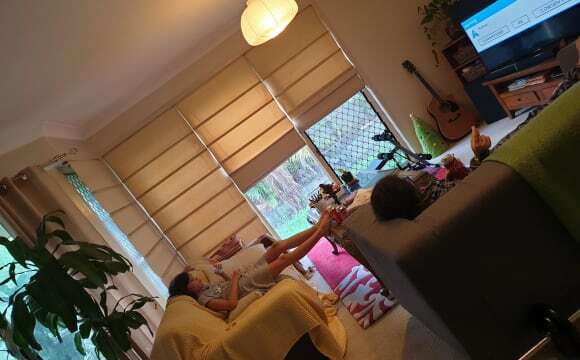 neat tidy home with aircon and wifi. Netflix in the comfy lounge and modern fixtures throughout. You have your own space and private bathroom. you will have a car spot in the lockup garage. all the house is furnished and has everything you need. Your room will be empty as well as your bathroom and toilet. Available now!! Fully furnished granny flat...price includes unlimited internet and electricity! 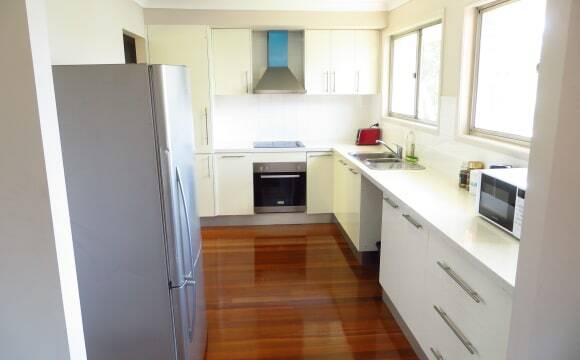 Fully furnished granny flat available immediately for long or short term accommodation. Suit full time working or studying single or couple as quite a large space. Rent includes electricity and unlimited internet. Shared laundry only otherwise completely private with own entry/ kitchen and bathroom. Walking distance to public transport, restaurants and shops. 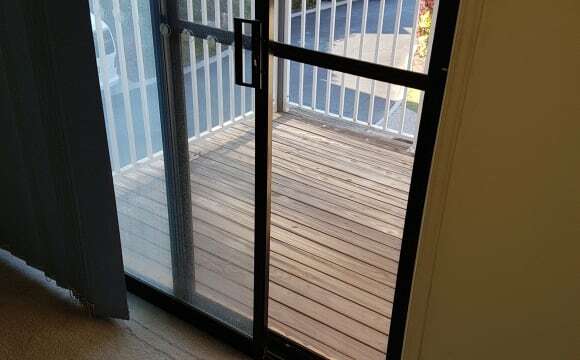 Private access with breezy deck and garden view. Large 60sqm open plan self-contained studio. 2km to garden city and griffth university. Bus stop to city in front of house. Can accomodate up to 3 ppl in this studio. Rent negotiable with number of ppl and night. Studio has own digital tv, fridge, fully equipped kitchennette, furniture, unlimited NBN access and own bath, private entrance, private deck, walk-in robe and washing machine. 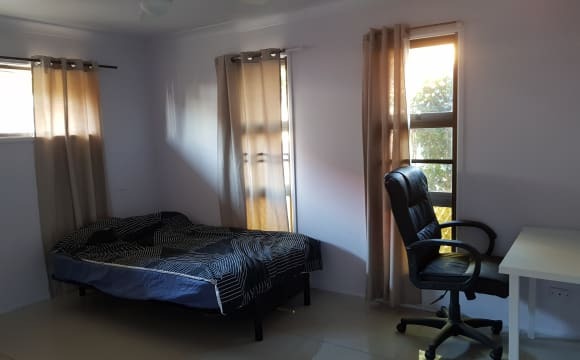 Ideal for anyone looking for space, clean, nice, quiet, beautiful scenery environment and no sharing of bills or amenities with other flatmates. 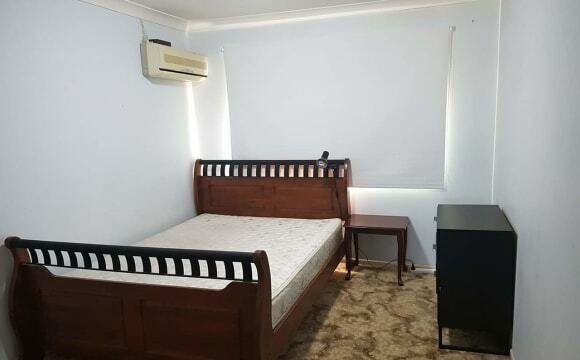 Really Good room near Sunnybank Plaza/Market Square Macgregor 1 Single Room $150 (non smokers only) another room $140 No Smokers Sorry no pets Looking for long term tenants. Fully furnished. 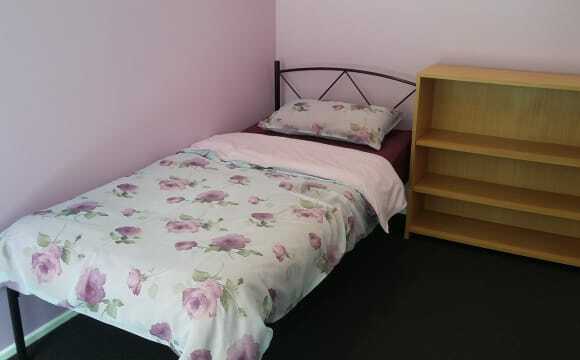 Single room has a Double Bed (Size: 137 cm x 187 cm.) (not single bed) Yes need bond. 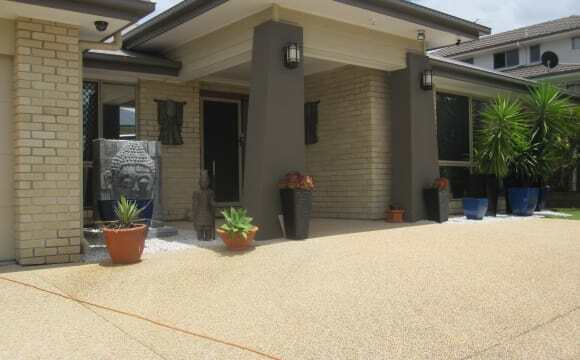 This house is situated in a convenient central position to all major amenities. 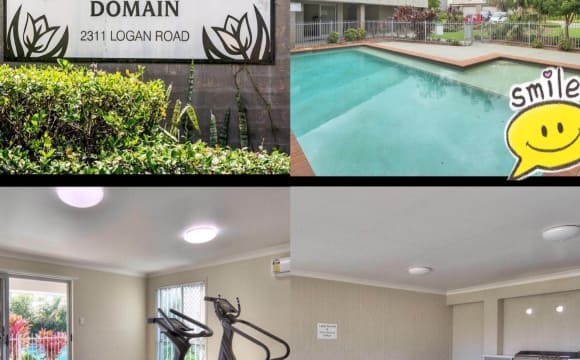 Walk to market square 550m (5minutes walk) Walk to sunnybank plaza 880m (8-9min walk) Walk to bus stop 880m (8-9min walk) Bus Routes: 130, 140 to Myre center or cultural centre Griffith University 131, 136, 137 Express to CBD 139 to UQ (Direct one bus no need to transfer) In the morning one bus every 1.5 minutes (90 seconds). Shopping &amp; Business Precinct, Primary and Secondary schools, DM Henderson Park (great for walks, cricket, tennis and basketball), Westfield Garden City Mall and Upper Mount Gravatt Major Business Precinct as well as Kessels Rd Business Precinct. Rooms has ceiling fan. Room do not have Air Con. Room isn't a master room (does not have ensuite. no toilet within the room itself) Share 2 toilets 1 bathroom 1 kitchen with 3 other people (1 girl and 2 guys). 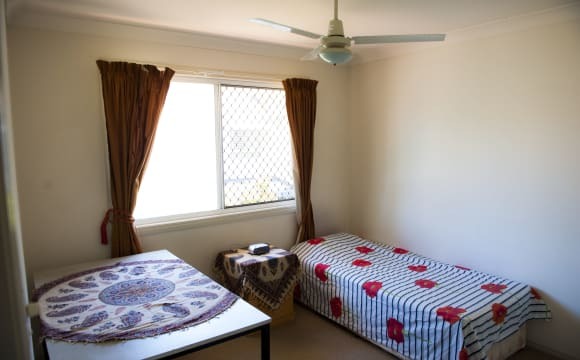 Rent Price includes Electricity, Water and Internet Internet is Optus NBN speed boost level 4 (maximum internet speed) 90Mbs/down (this is 40 times faster than cable internet). Price not negotiable, already lowest. Lots of great restaurants near by. ($8-14 can get you a great meal/feed/feast.) Message to arrange an inspection. Looking for good tenants.